So, you've decided to join millions of people and enter the world of online sports betting, but you have no idea what you're doing. It's OK, everyone starts somewhere and all it takes is a few simple tips to get you off and running. The first topic we will cover here today is straight bets vs. parlay bets. While there are many other betting techniques offered at online sport books, these are the most common, so we will focus on these for now. The concept here is a simple one: if you want to wager on one specific game, then you will make a straight bet; whereas if you want to bet on several games, then you will combine them into a parlay bet. The straight bet is fairly straightforward. You are betting on the outcome of one specific game. For example: you think the New York Yankees will beat the Boston Red Sox, so you login to your sport book account and place your bet. Most books accept bets ranging from one dollar to thousands of dollars, so the amount you want to wager is up to you. The parlay bet offers larger payouts than the straight bet, however you have to get all your selections correct in order for the wager to pay you. For example: you like the Yankees, Dodgers and Phillies all to win. You log into your sport book account and add all three outcomes to your parlay ticket. The odds for each game are multiplied together to produce your potential payout (ie: $6 paid for every $1 wagered), which makes these types of bets potentially very lucrative, but again--all your selections have to be correct in order to win. Now that you know the difference between the two most common forms of betting online, it's time to expand this knowledge and see how it applies to the two main betting options in sporting matches: the Money Line and the Spread. Simply put, betting a team on the Money Line means you're betting on them to win the game. This is pretty straight-forward, but it's important to remember that not all matchups are even. For example, when the Los Angeles Lakers play the New York Nets, one team is clearly better than the other one. What happens here is: the Lakers are listed as the favorites and Nets as the underdogs, and they are assigned a "price" by the sports book. What you will see is something like: Lakers, -400 Nets, +300. The numbers next to each team represent their price. In this example, for you to win $100 betting on the Lakers to win the game, you would have to wager $400, while $100 wagered on the Nets would return $300 in profit. Not exactly the ideal situation if you don't have a large bankroll, right? This is where a parlay becomes useful--you can add another big favorite or two to this ticket and your odds will become considerably better, which means you wouldn't have to "lay" as much money to win. In gambling terms, this is called "juice". OK, so still want to bet on the Lakers to beat the Nets, but you don't want to lay that much juice and you don't want to parlay it with another game, what do you do? Well, you can bet on the Lakers to cover what we call the Spread. Sports Books know that the Lakers are a better team, so what they try to do is determine HOW much better they are, in terms of points. For example, lets say the sports books think the Lakers are 7.5 points better than the Nets, so they would display the spread as follows: Lakers, -7.5 Nets, +7.5 In this case, if you bet on the Lakers to "cover" the spread, they would have to win by more than 7.5 points. Conversely, if you wanted to bet on the Nets, they can either win the game outright, or they can lose by less than 7.5 points for you to win your bet. And much like Money Line betting, you can always parlay two or more games into a single ticket to increase your potential winnings. If you feel like sports betting is something you could be successful at, then take the time to read some more of our sports betting tips articles. Knowledge is power. 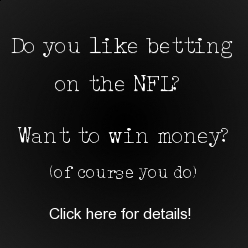 sportbooksreview.com - your #1 gambling source for sport books reviews, sport betting information, sport betting tips and advice, enjoy your stay!